Carrefour states the following at the their website: “Quality is one of our main source of competitive differentiation and is part of the fundamental policies defining the implementation of the Group’s strategy. It always corresponds to what the customer explicitly or implicitly wants and must be clearly perceived as such. 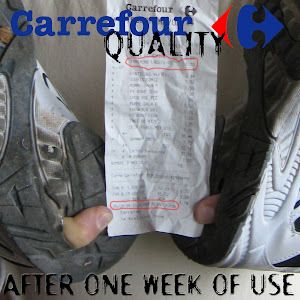 The value for money must be the best.” We bought last week a pair of no brand jogging shoes from Carrefour. After one week they broke down. Yesterday we went to exchange the shoes and the reaction was unpleasant and rather unexpected. Every blogger would like to be at the top of search results in search engines. Here is a tip for enhancing your blog ranking significantly without penalties or spam. 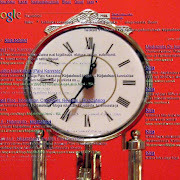 Search engines list web pages with a so called ranking system. By adding the following code you will make sure that your blog is at the top of search results. Those who act rapidly, will get the best results as rankings are awarded in the order they are indexed.